MILFORD, Conn. – Jan. 12, 2016 — Thinklogical, a global manufacturer of secure, high performance signal extension and switching systems for video-rich applications, announced today that noted Norwegian and NATO defense and intelligence information technology expert Dag Wilhelmsen will be an adviser to the company. 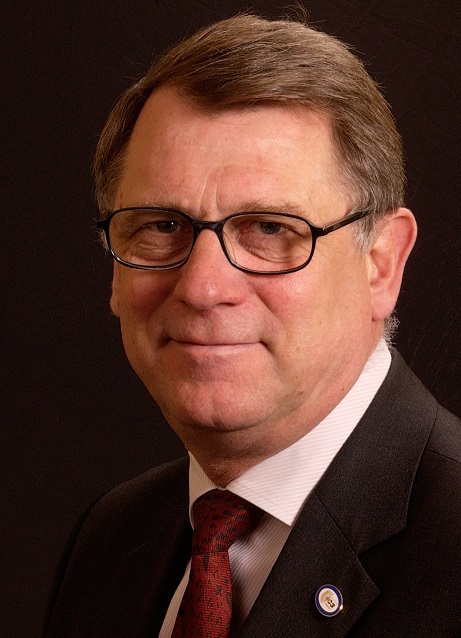 Wilhelmsen has had a distinguished 40-year career in the field of defense electronics, IT, information assurance and communications in business and government, including holding the position of general manager of the NATO C3 Agency, with responsibility for all of the alliance’s common funded C3 (consultation, command, and control) initiatives. He was most recently director of infrastructure services at the NATO Communications and Information (NCI) Agency, retiring in 2014. He holds a Master of Science degree from the Norwegian University of Science and Technology. In this new role, Wilhelmsen will advise and guide the company’s business development initiatives targeting ministries of defense and intelligence operations within NATO and its member nations. Thinklogical offers the only mid- to large-scale fiber-optic VDS (video distribution system) and KVM solution accredited to Common Criteria EAL4, NATO NIAPC Evaluation Scheme: GREEN, TEMPEST SDIP 27 Level B and the U.S. DoD DISA JITC UCR 2013 APL information assurance (IA) standards required for use in secure facilities. Thinklogical is unique in enabling multi-domain isolation, restricted switching, and partitioning of video and data through a single high-performance matrix switch, making it the ideal KVM, VDS and signal extension and switching solution for secure C4ISR (command, control, communications, computers, intelligence, surveillance and reconnaissance), UAS/RPA ground control operations, naval bridge and combat information centers, simulation, visualization and training applications. Supporting all common AV and IT signal formats and interface standards, Thinklogical extension and switching solutions provide uncompressed, high-bandwidth signal management with no computer peripheral latency or loss of video resolution quality. With Thinklogical, defense and intelligence organizations are able to move vulnerable computers off of the watch floor while maintaining authorized user access and system performance, increasing the security of the data, enhancing collaboration among staff, and reducing noise, heat and technology clutter in the workspace.